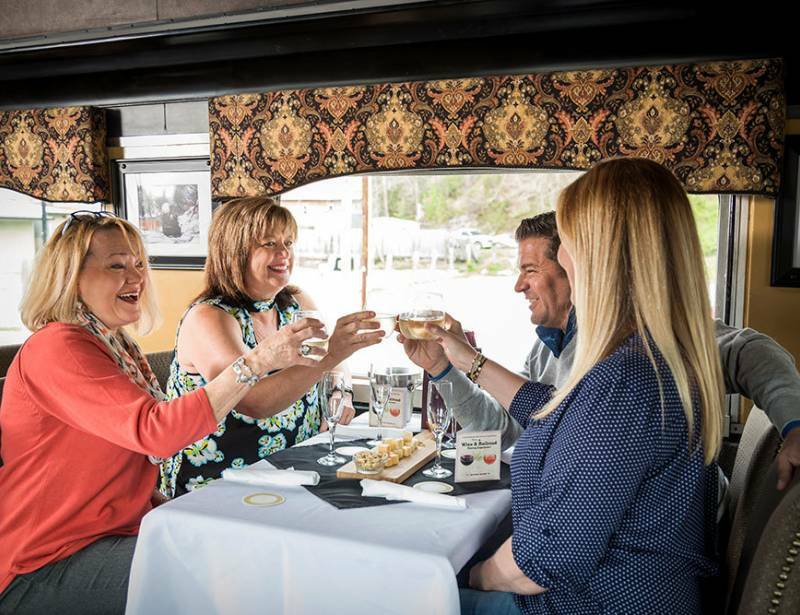 Departing from Bryson City, enjoy a full service wine pairing experience in an all-adult first class car with private attendant on the Great Smoky Mountains Railroad Nantahala River Excursion (includes stopover at Nantahala Outdoor Center). Narrator onboard to discuss each pairing of four wines with a meal that includes an exclusive sampling of local cheeses, fresh garden salad, a surf and turf entree, and chef-inspired dessert. Featuring Wines of the Old World. All passengers also receive souvenir stemless wine glass. Age 21 and over only. Cost Price varies by seating choice. Check schedule on website. Event times may vary. Please call ahead to confirm event details with this winery.